Blondie and Brownie: "In the Small Kitchen" Contest! 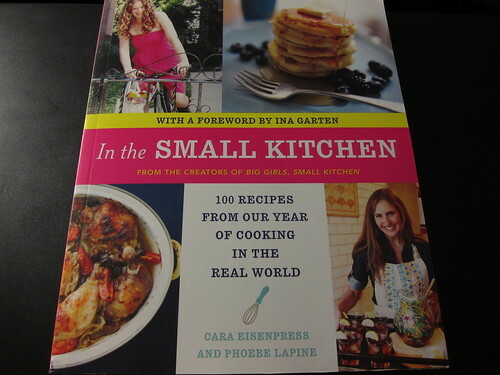 Today's the day for the ladies, Phoebe and Cara, over at Big Girls, Small Kitchen. Their book, In the Small Kitchen, is 'published' today! Big YAYs to them from Brownie and I. They're going to be touring to California and Washington, DC, so make sure to stop by one of the events to buy the book. That is, if you don't win the one we're giving away! We were so excited for them, that we asked to get a copy to give to our readers! Brownie and I are both big fans of their recipes on their site and over at Serious Eats. For those of you not familiar with them, they specialize in affordable, unpretentious cooking that's especially geared towards twenty-somethings just starting out their adult life. It's the perfect book for a new graduate or if you've found yourself on a new, more frugal budget. 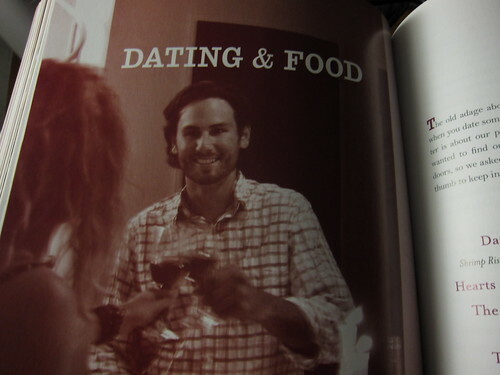 There's even a section for dating with recipes that will make a good first impression when cooking for someone! Now for the contest: This is going to be a quick one. Email us at blondieandbrownie at gmail dot com (the button up to the left) and we'll pick a winner before we head out of town for the holiday weekend on Thursday. I will try to mail this baby out as soon as possible. The contest is open to all US residents this time, get those emails coming in!